Living with a mountain man who has been growing a beard for the past few years has helped me become more appreciative of those that grow facial hair. It's not that I didn't think beards were awesome before I began dating someone who is into that sort of thing, but I just didn't give it too much thought. Now, you'll find me blatantly pointing people out, possibly even giving them a thumbs up, when I see a fella with a face-full of fuzz. I get that for people who grow beards, it's a way of life and not just an accessory of sorts. Most people who have beards don't have them only to keep their faces warm. No, they're doing it for cultural or spiritual reasons, and probably to look cool, too. Beards have been around for thousands of years! Only recently, though, has the movement become more mainstream. While I know that bands of bearded brothers have been competing for quite some time now, it seems as though most folically-challenged folks had no idea these sorts of events took place. It wasn't until the new IFC documentary called, Whisker Wars, came out that it brought this community into the limelight and helped the movement gain more momentum. Beard Team USA, founded by Phil Olsen, is yet another reason why beardos are banding together. When he realized that the World Beard and Mustache Championships barely had any American representatives, he made it his mission to change that, which he did. Since then, the US has taken home awards from the World Championships, and he has even established a National Beard and Mustache Competition here in the US. 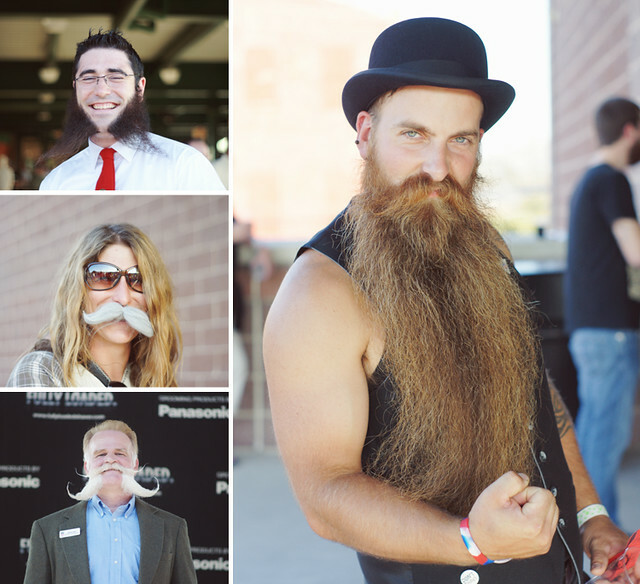 I was lucky enough to attend the 2nd Annual Beard and Mustache Championship held at the Clipper Stadium in Lancaster, PA on October 8th. When Cody and I had the hair-brained idea to head to the competition, we had no clue what to expect, but we decided to do it anyway because it seemed like it'd be a lot of fun. So, we hopped in the car for the 9-hour road trip hoping that we wouldn't regret it later. Either way it would be an adventure, right?! All we knew was that the event was being held at the stadium, and that a parade would take place from a nearby hotel. After aimlessly following people with facial hair in hopes that we'd stumbled upon the place we needed to be, we ended up elsewhere. Thankfully, the parade was running behind, and we were able to catch the procession as it got closer to the stadium. As we watched the steady stream of people pass by, I realized that everyone in the crowd had their own personal style. Not only were there beards and mustaches of all kinds donning the faces of men (and women), most of them also had a costume to go along with it. It was really interesting to see how the personalities fit the facial hair. The people with the complete package seemed to make a bigger impact than those who came dressed in everyday clothing. This made the most difference during the judging. 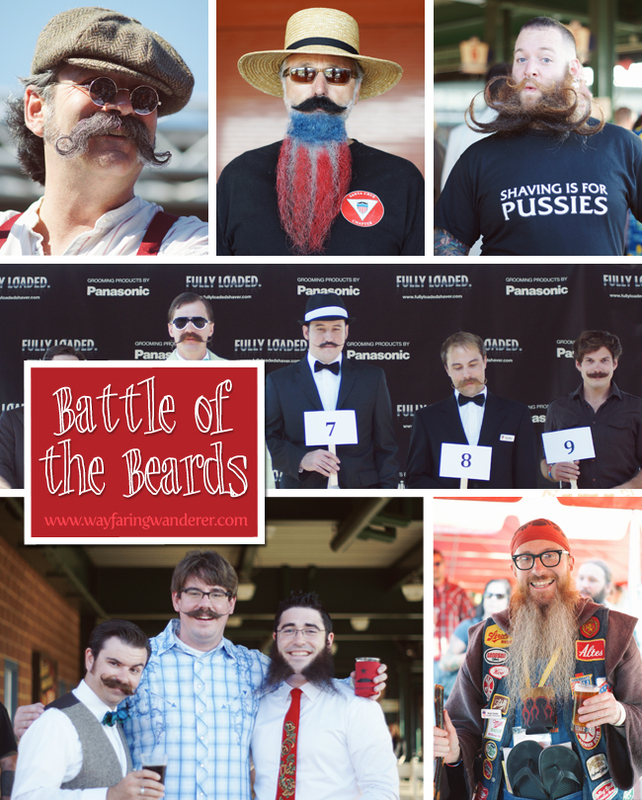 There were 5 categories: Mustache, Partial Beard, Full Beard Groomed, Full Beard Natural, and Freestyle. After randomly selecting groups in each category, they would head onto the stage where the judges would choose three contestants to go to the final round of judging. The process was long, but highly entertaining. Think toddlers and tiaras without the talent portion and tantrums. In the beginning, I was slightly hesitant to approach people to ask them if I could take a portrait. However, I quickly realized that my reservations were completely ridiculous because every single person I approached was super friendly. 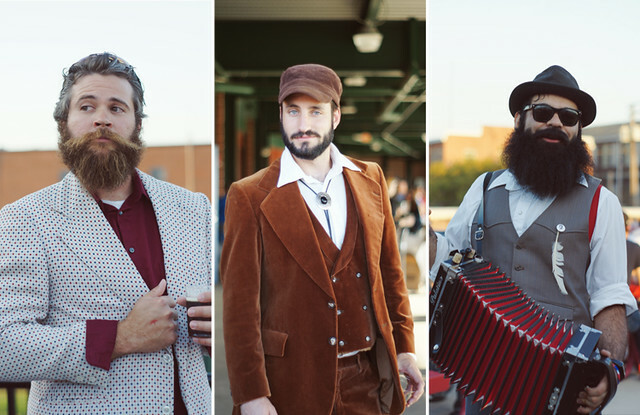 After I got past the initial hump, I took pictures of all kinds of crazy cool beards and mustaches. We pretty much instantly became friends with everyone we met. That's when I understood what this event was really about. It wasn't necessarily about winning or competing. 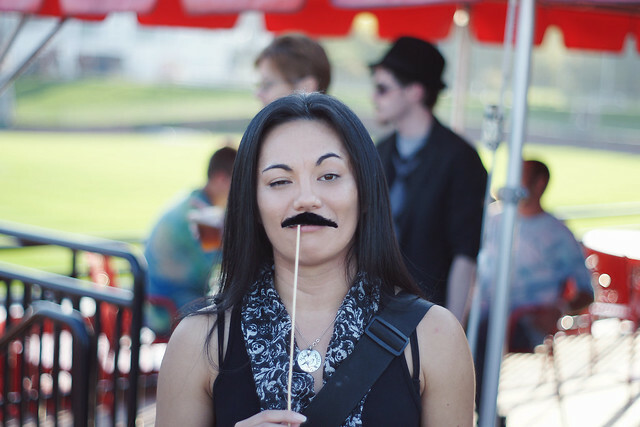 It was more so about building a community of people who have a fondness for facial hair. If you'd like to learn more about Beard Team USA (& the championships), here is a link to the website. We had such a great time meeting people and taking photos of beards (and mustaches) that we are definitely planning to attend next year's beard contest in Las Vegas! I really look forward to reconnecting with all of the fun people we encountered along the way. More images will likely be uploaded to the WW Facebook page in the next week or so. 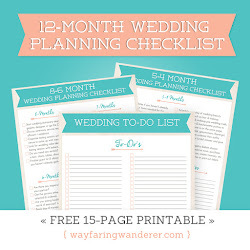 If you're interested in seeing more, be sure to let me know! what a great event!!! I really liked the guy with the red white and blue beard so creative!! LOVE it...seriously, my dad has always had a beard (well since I've been around) and my husband after his 4 years in the ARMY is now a beard guy...rebel. Seems like most of the men in my life now have beards! You got so many awesome pictures. @The Hot Mess: It was a really great event, indeed. The red white and blue beard was pretty incredible! @Marfa: Glad you like the pictures! And that you are surrounded by people who have beards :D Beards are the best!